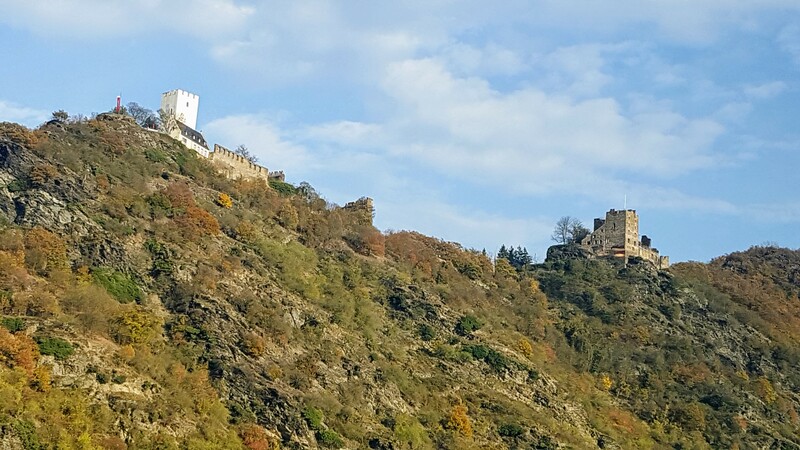 The Rhine Gorge, the Upper Middle Rhine Valley, is on the UNESCO list of World Heritage Sites due to its unique historical, cultural, geographical, and industrial combination. 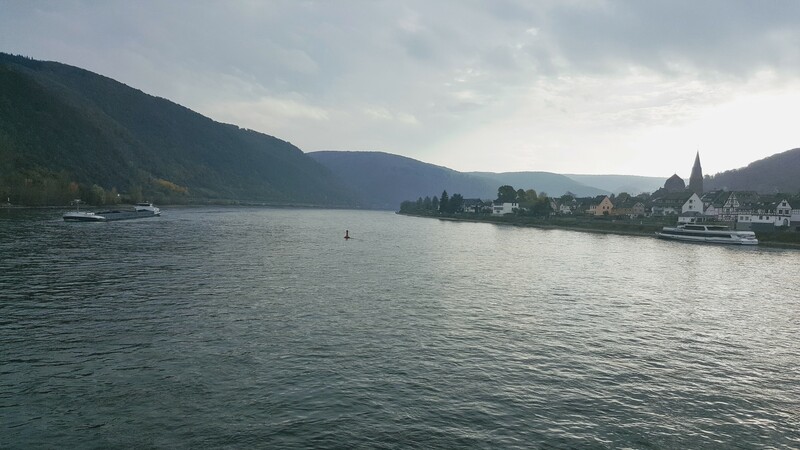 This 65 kilometers of the waterway between Koblenz and Bingen had been a very important trading route for a long time before the railroads. 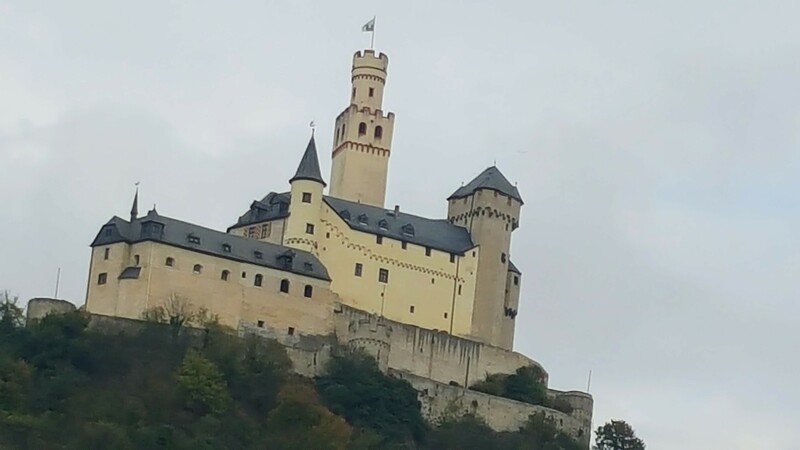 Because it was a major trading route and the center of Holy Roman Empire small towns and castles built along its banks. Due to wars, the castles fell into ruins, however, the small towns pretty much stayed the same. 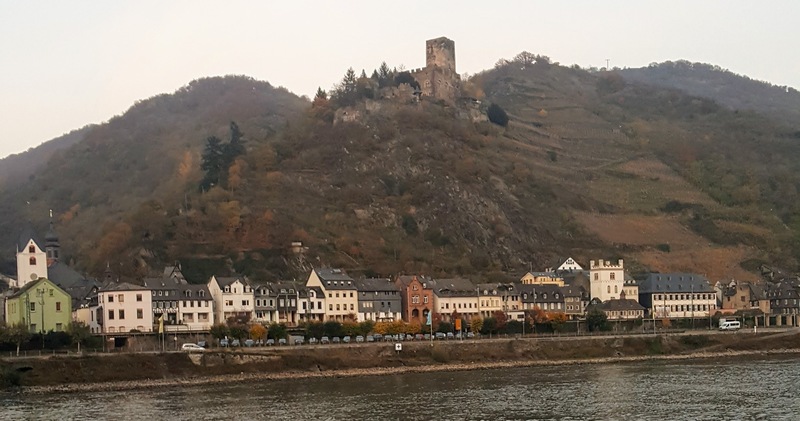 Lorelei Rock (lore means murmuring in Rhine dialect and ley means rock in Roman.) 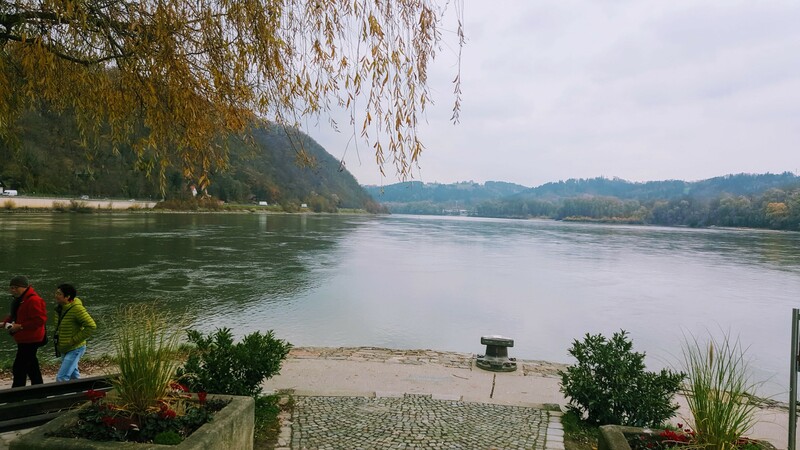 is a slate rock protruding around the bend on Rhine River. 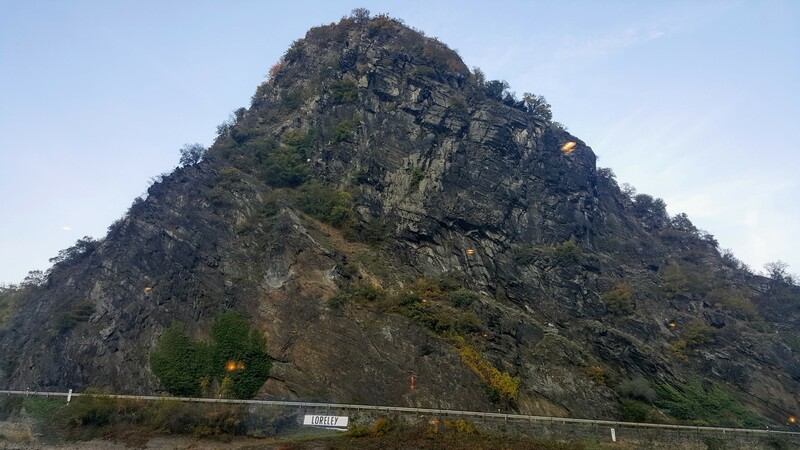 This type of rock is typical of Rhine Gorge which contains sediments and fossils. Because the area water currents and the sound of a small waterfall in this area at the time caused an echoing effect, people named it the murmuring rock. 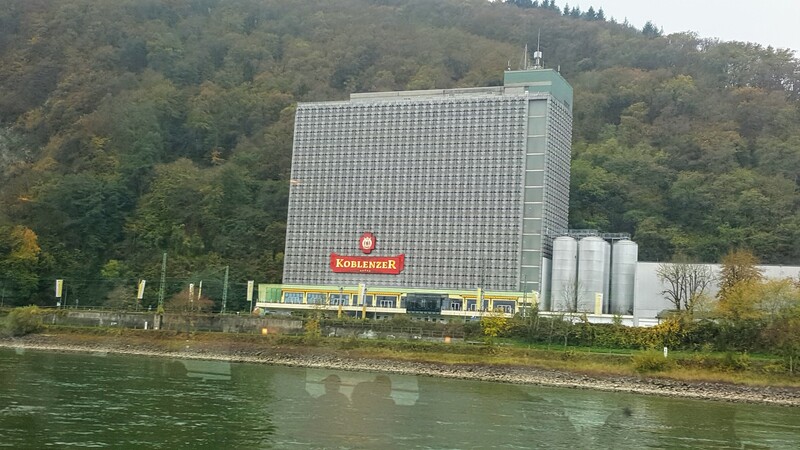 Plus the position of Lorelei protruding around the bank caused many boating accidents. Stories were spin around these odd phenomena, such as elves living in the rock. In 1801, Clemens Brentano composed a ballad about a beautiful maiden betrayed by her love, was accused of bewitching men and causing their death. 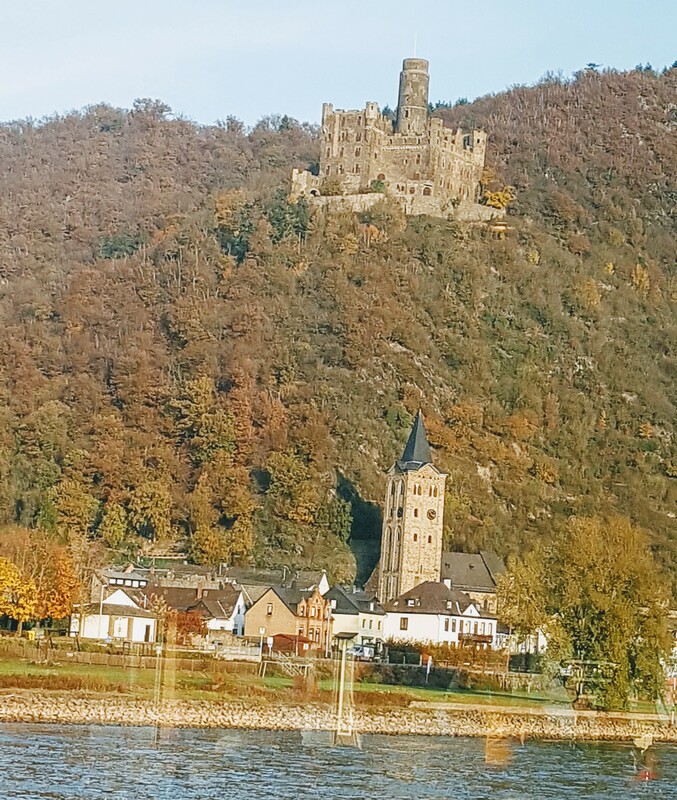 On her way to the nunnery to serve her sentence, from the top of Lorelei Rock she thought she saw her lover and plunge to death. The story inspired many poems, songs, folklore, and even in the works of symphonies. 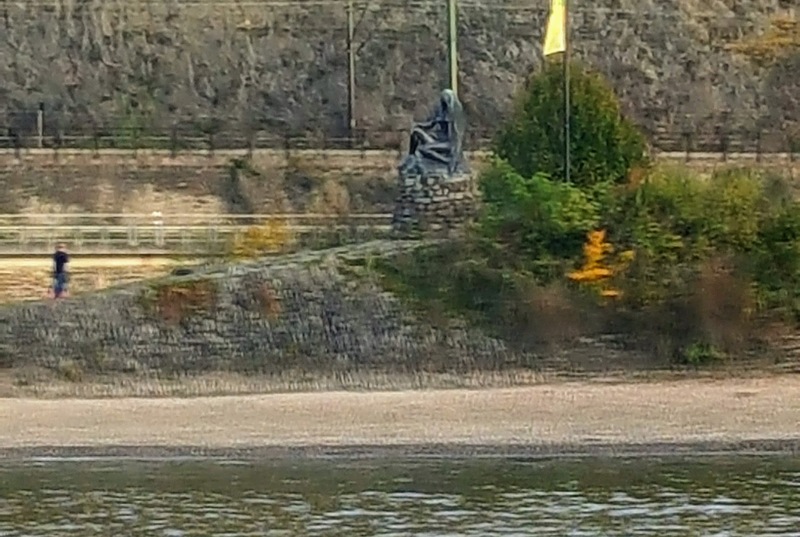 Near Lorelei sits this statue of the pretty maiden combing her hair and singing song to distract the sailors to crash into the Lorelei rock. Taking her revenge on sailorman. The towns along the Gore stayed the same due to its livelihood which did not change much from ancient times. Its special gorge climate and geographic condition especially the slopes facing south are a very good condition for a kind of terraced vineyards. The wines from these vineyards are very special. 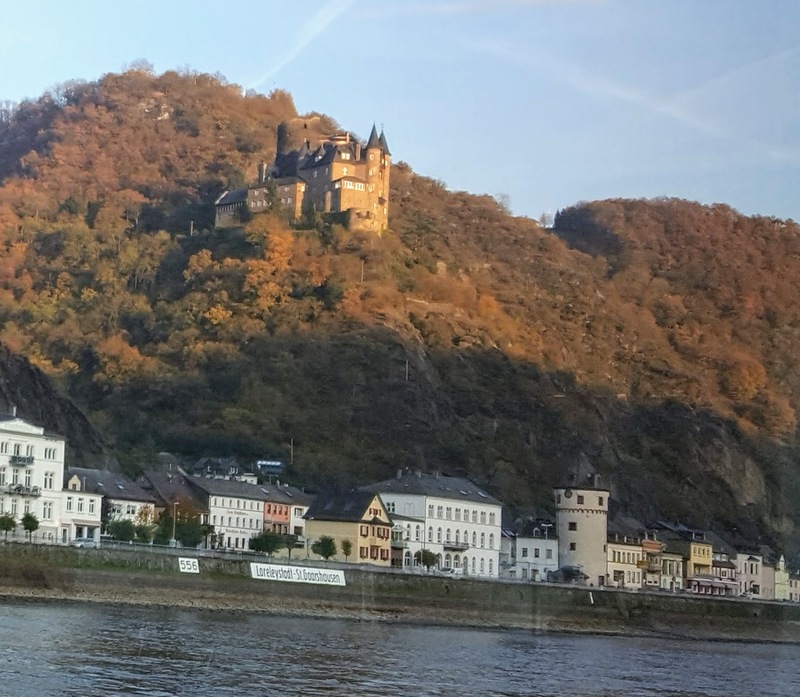 Other scenes of the Rhine Gorge. Artists are attracted to this region and often drew inspiration from here for their creations. 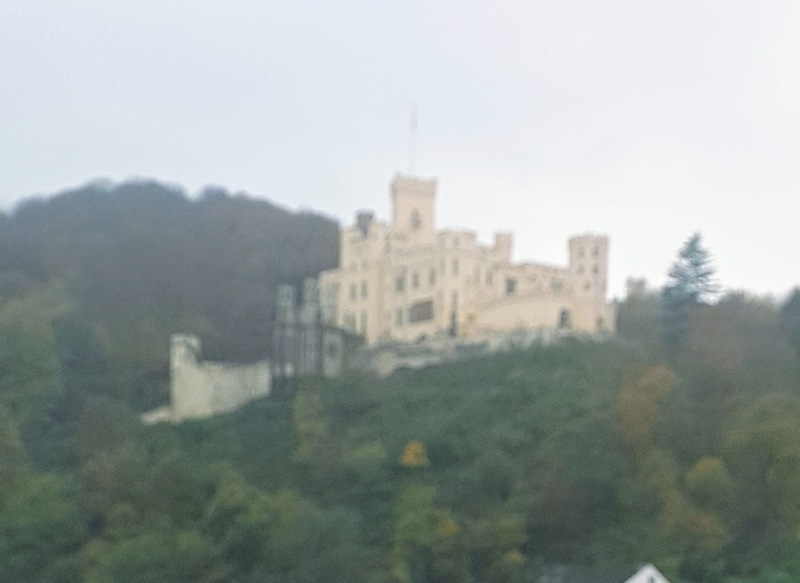 Heildelberg Castle Ruins is the landmark of Heidelberg. It is one of the most important Renaissance structure north of the Alps. It was built as a castle in the twelve hundreds. After several natural and man-made destructions, the rebuilding and expansion resulted in a three castle structure and through several changes of ownership it fell in ruins. Its position on the hillside is one of the reasons why it’s beauty charmed the romantics of the time. 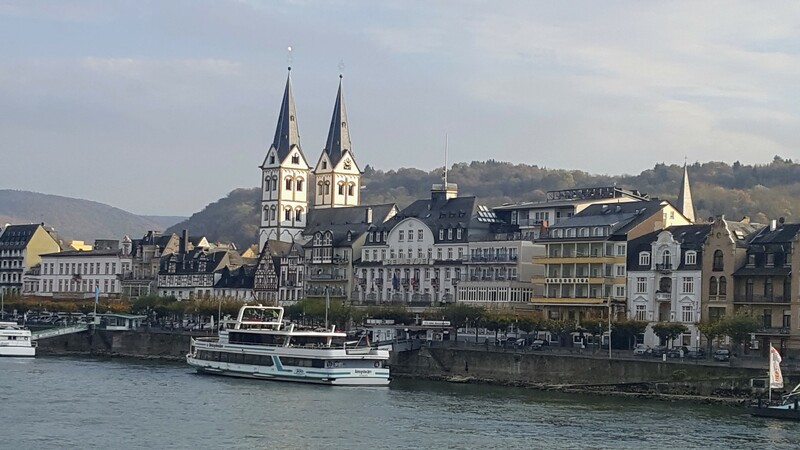 The view from Heidelberg Castle terrace of the Old Town, the Old Bridge(Karl Theodor Bridge), and the Church of Holy Spirit. Some scenes from the castle ruins. 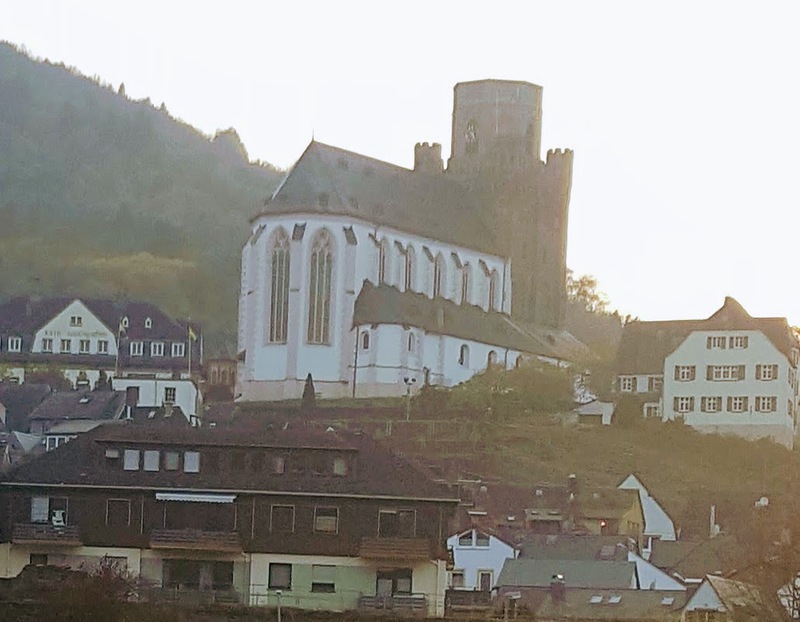 Heidelberg is a university town. Heidelberg University founded in the 14th century, the oldest institution of higher education in Germany. Students, from the university, make up a quarter of its population. 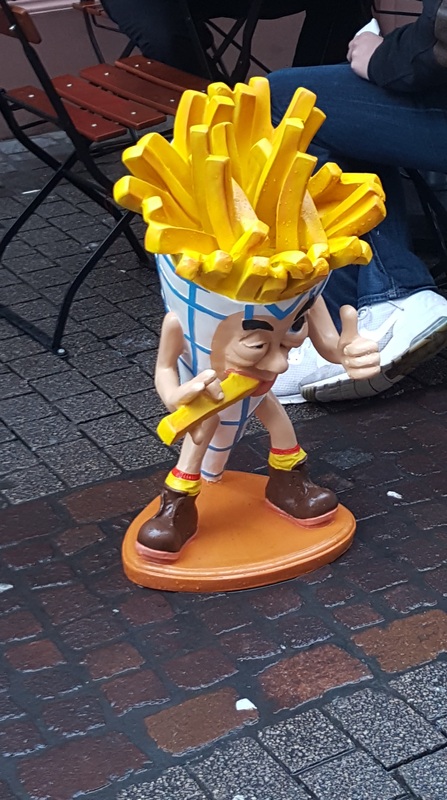 They bring in the vibrant vitality. innovation spirit, and idealistic vision which is unique to this town. Heidelberg’s attraction is this unique blend of the old and the new. Photos below show a variety of the old and the new. 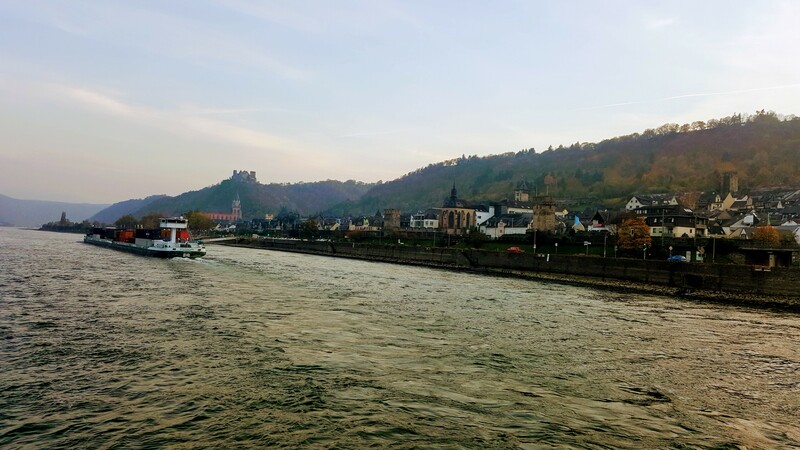 Würzburg, a city in Germany’s Bavaria region. 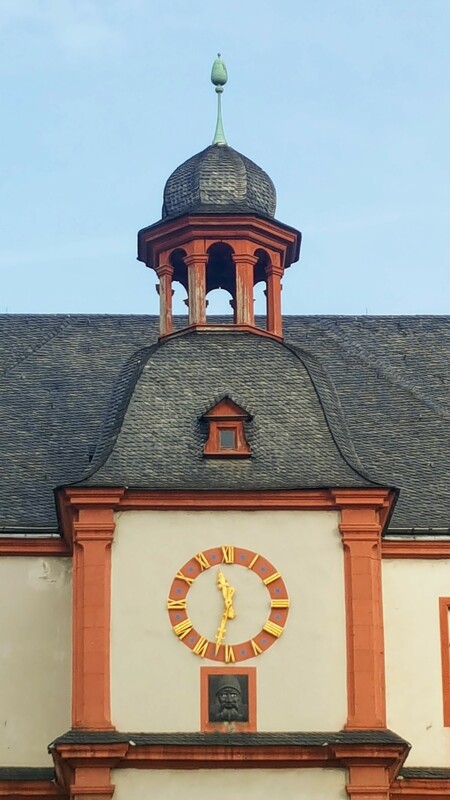 It is the center of Franconian wine country. Therefore is the home of many winery, wine cellars, and bars. The Franconian wine stores in distinctive round flat bottles ( bocksbeutel). Memorable wine tasting at the Staatlicher Hofkeler Würzburg, the former Prince Bishop’s Cellar. 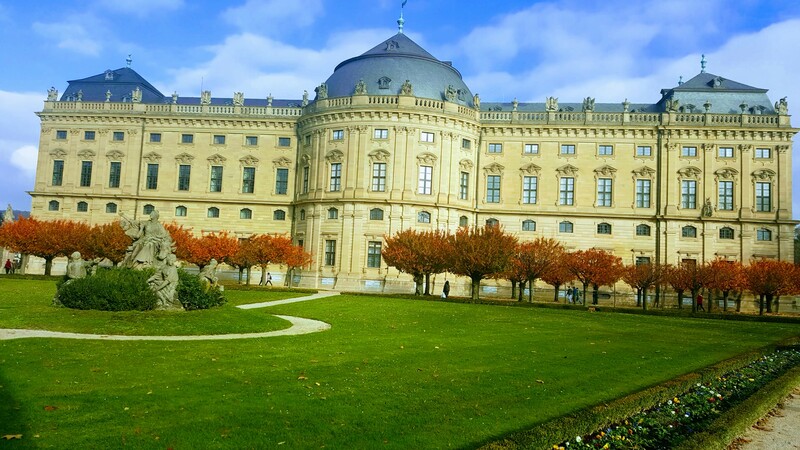 Würzburg Residence was the palace of Prince Bishops. 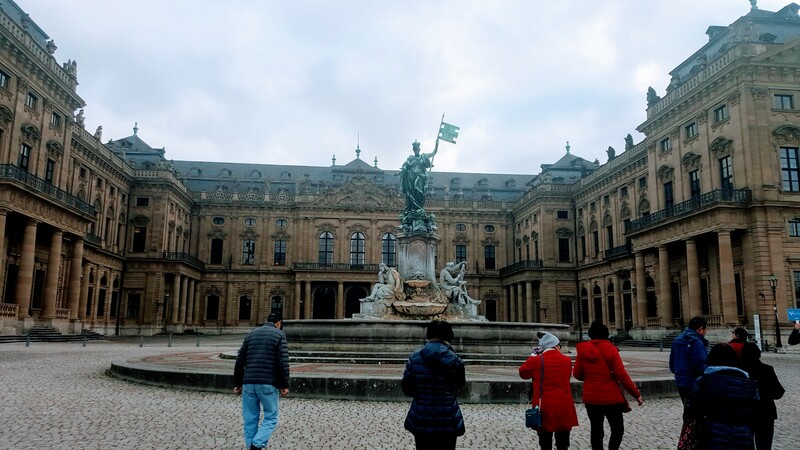 Its construction was intended to be comparable to the Palace of Versailles or the Schonbrunn Palace. 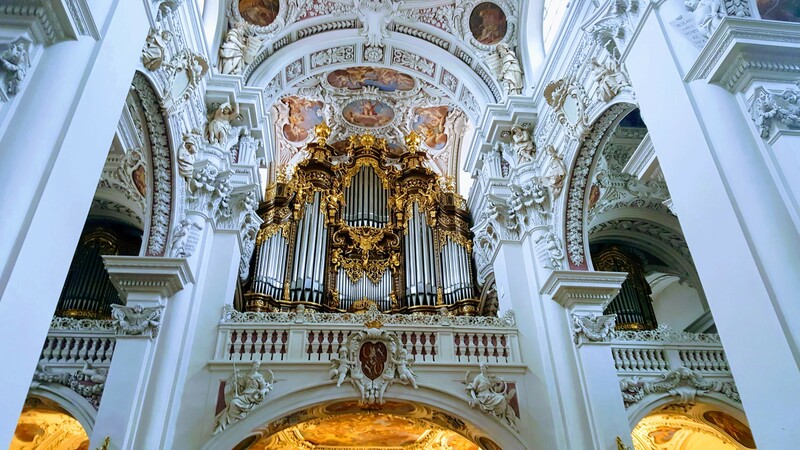 It is one of the masterpieces of Baroque/Rococo style architecture. Although most of it was destroyed or damaged by World War II, the grand staircase, the Imperial Hall, and the chapel still stand. After much restoration and reconstruction work was done from 1945 to 1987 to its present form. 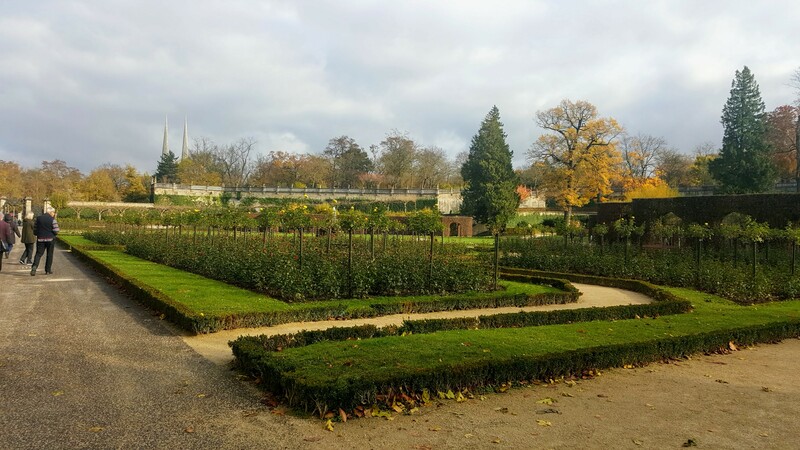 The Residence, and its Court Garden and Square are listed as World Heritage Site by UNESCO. 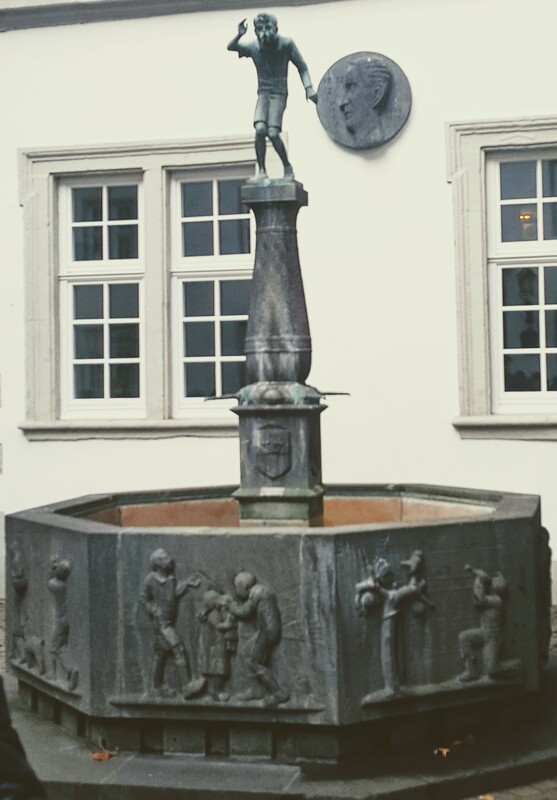 The front of the Würzburg Residence and the courtyard’s Franconian Fountain. Among the busy shopping center is the Old Main Bridge (Alte Mainbrucke) built 1473-1543. The pedestrian bridge is aligned with statues of saints. 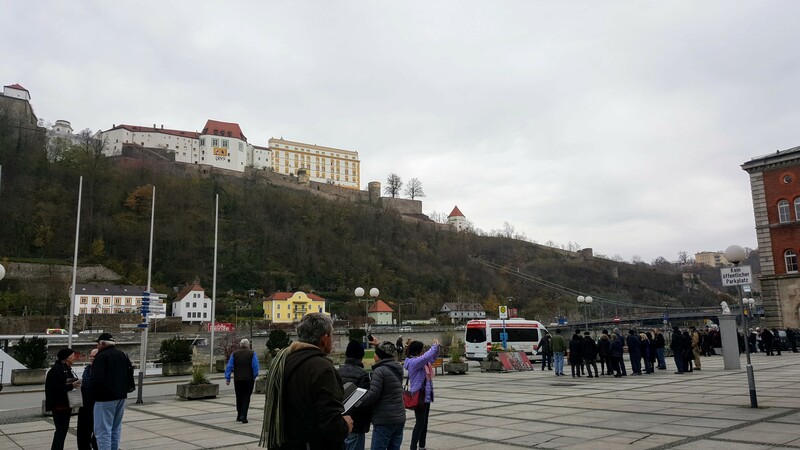 And lastly the landmark of Würzburg, the Marienberg Fortress which stands on the west bank of the Main River. It originally was a fort built in ancient times but became a fortress and home of the Prince-Bishop. 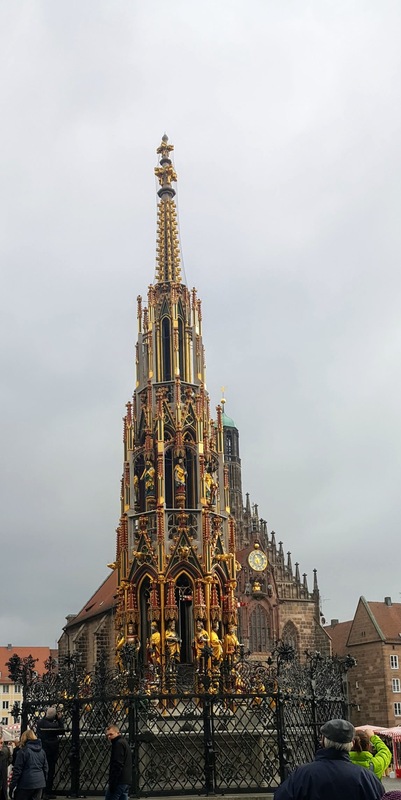 It was severally damaged in the Second World War and since rebuild in 1990. Now it houses two museums. 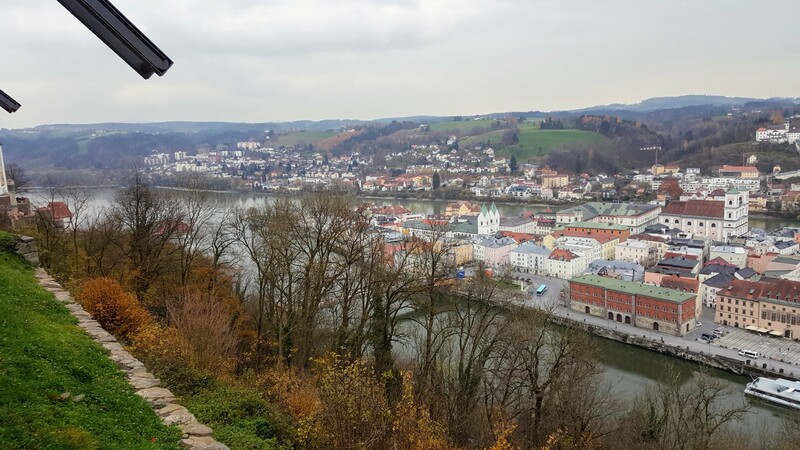 From where it stands, one can see the whole city of Würzburg. 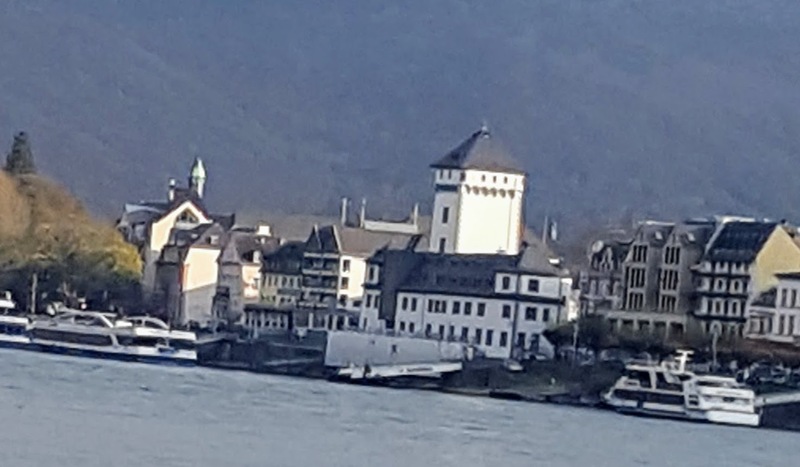 The Marienberg Fortress from the Old Main Bridge. Surrounding the fortress are the famous Franconian vineyards. 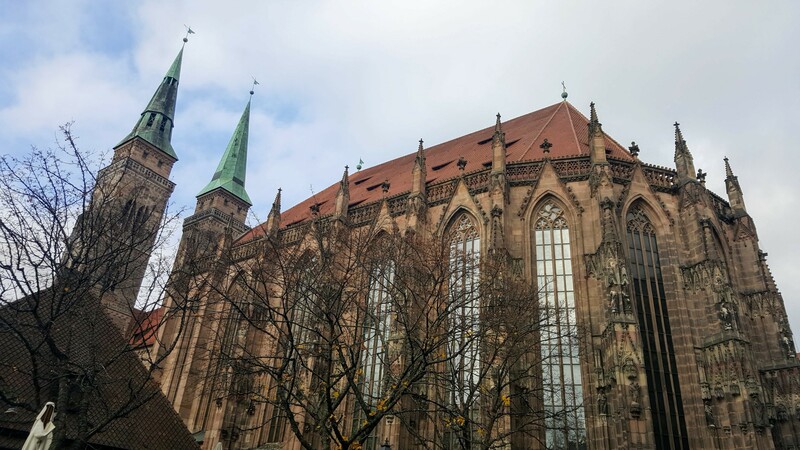 Nuremberg city would always be associated with the Nazi Party in our recent history. 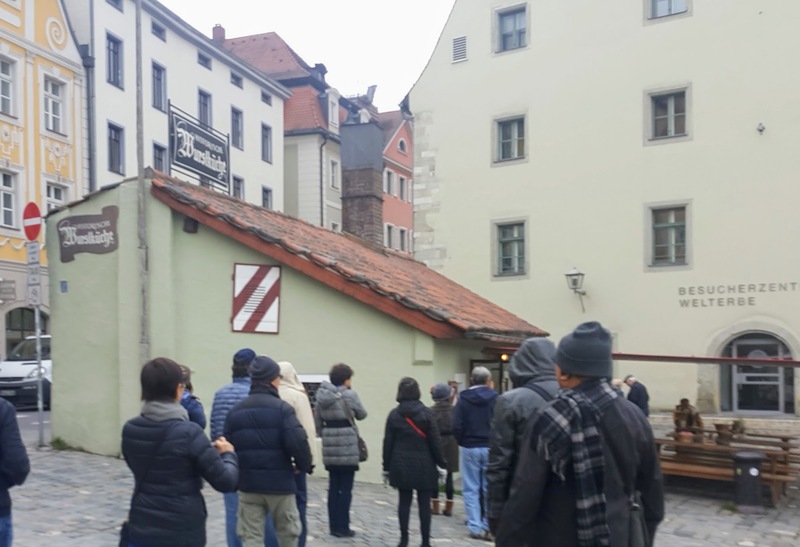 Nuremberg is where the Nazi Party took to power and Nuremberg is where it stood trial for its war crimes for the world to see. Beyond its infamous recent history. 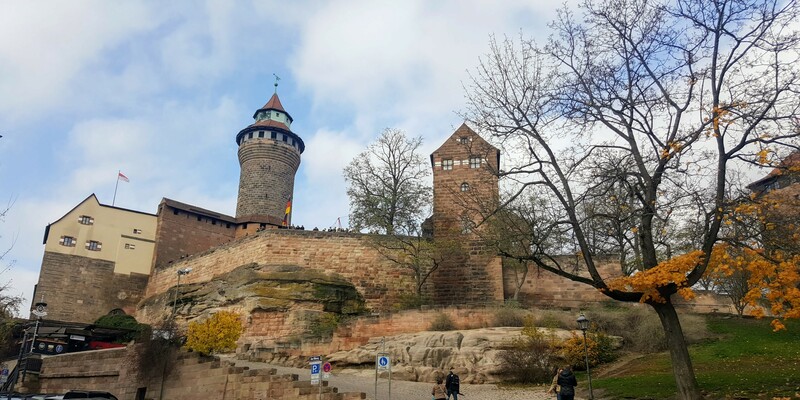 Nuremberg has a glorious past as the center of the Holy Roman Empire, build around the banks of River Pegnitz. 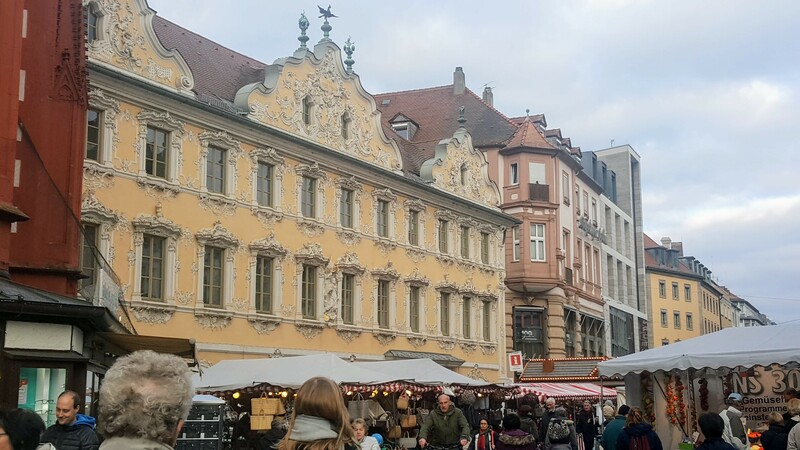 The vibrant trade brought excellent artisans and craftsmen thus established itself as the cradle of the German Renaissance. 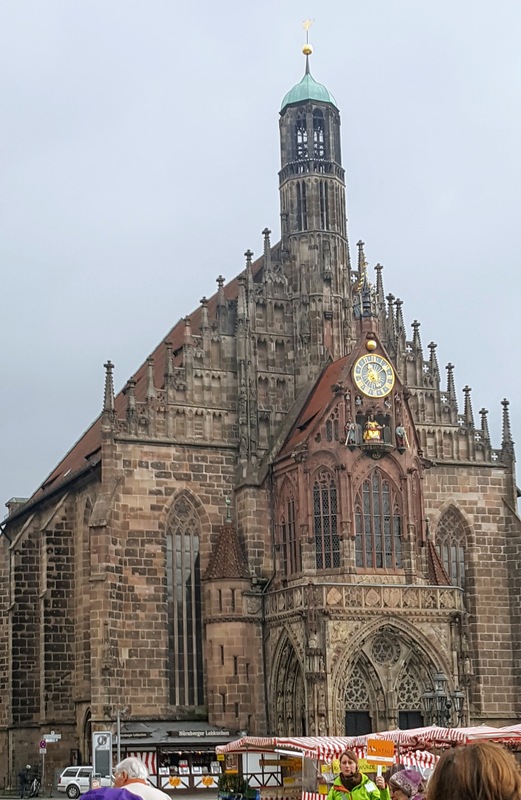 St Sebaldus Church, a medieval church has been a Lutheran parish since the Reformation. 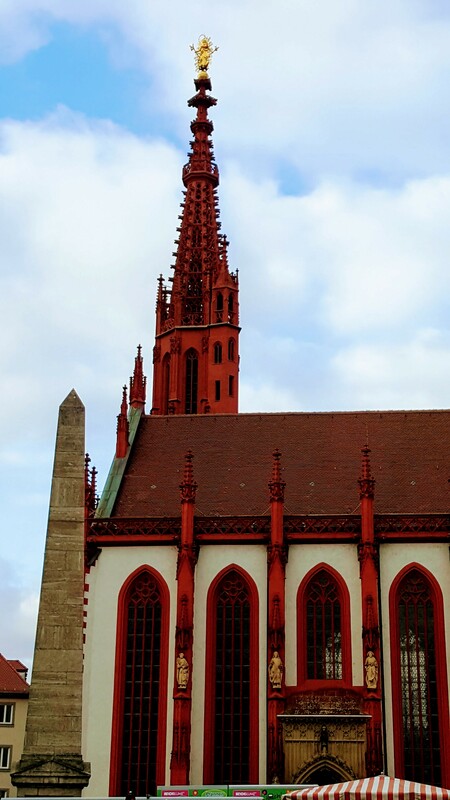 Frauenkirche of Gothic style architecture stands in front of the main market. Most notable is the church clock which would strike at mid-day. 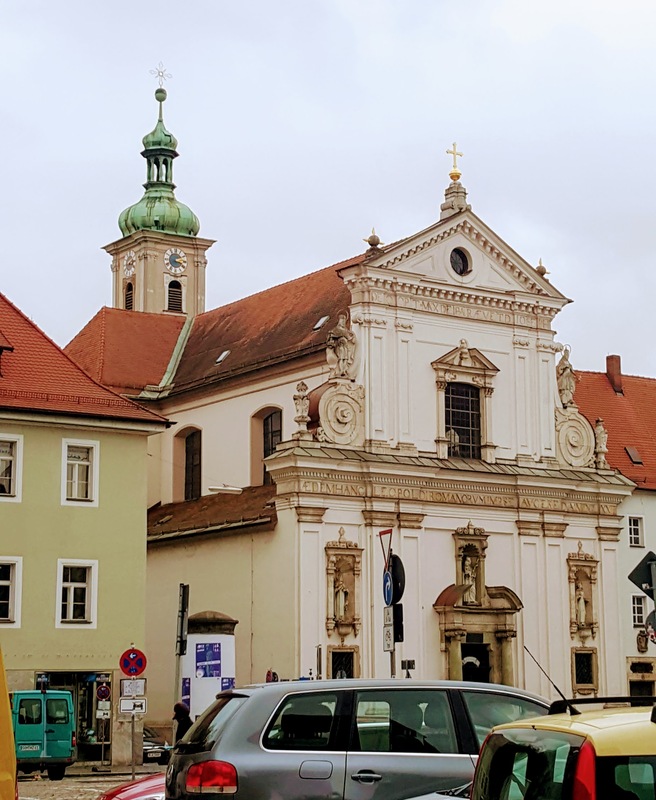 At which time the figurines of trumpeters and drummer and electors of the city would encircle the figure of the Holy Roman Emperor. In front would be the marketplace which would be especially active around Christmas time. Aside from normal wares, there will be the famous gingerbread cookies (Lebkuchen). 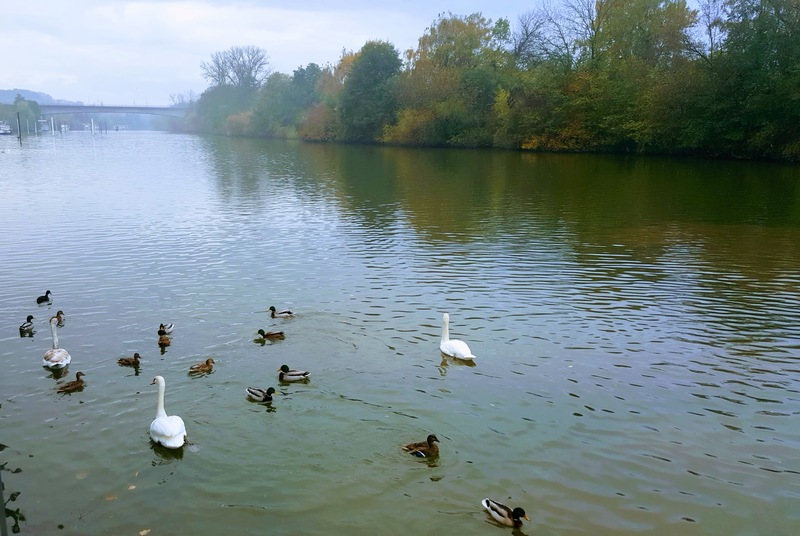 Chain bridge of Nuremberg. 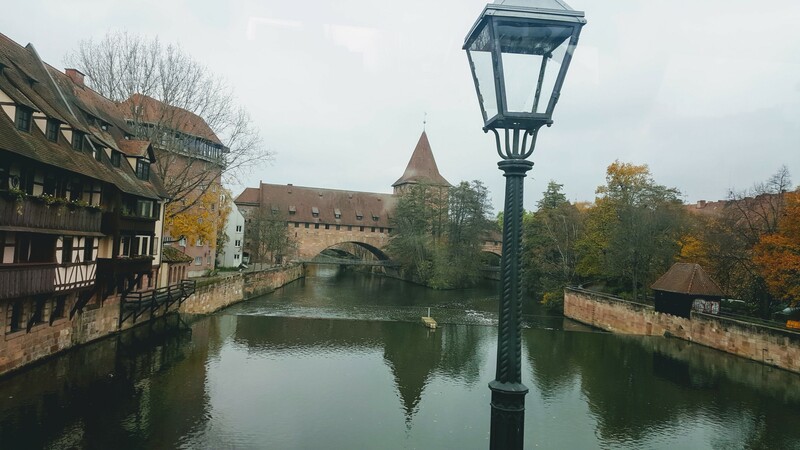 Chain bridge ( Kettensteg) of Nuremberg, footbridge to cross the Pegnitz River. First built-in 1824, the oldest chain bridge on the European continent, It was recently fortified and re-opened in 2010. A walkabout revealed a picturesque town as you can see below. of course, a walk should always end in food and enjoy the most notable Bratwurst and beer. 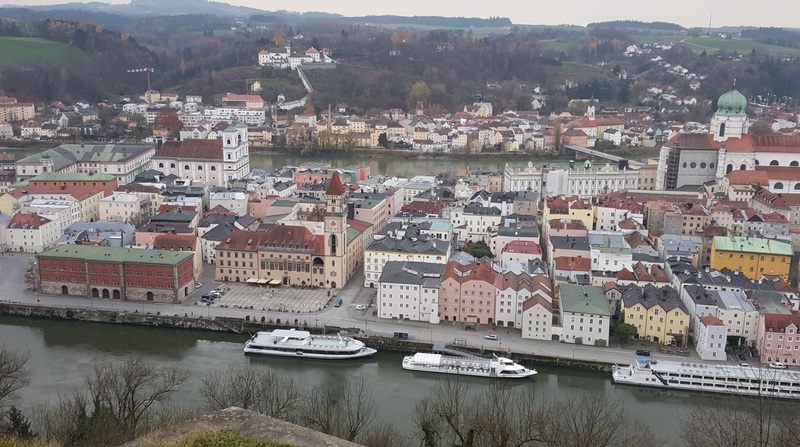 Regensburg is a Bavarian city on the Danube of Southeast Germany. There were settlements here during the Stone Ages. Around 90 AD the Romans built a fort here. Not until the Stone Bridge was build during 1146, Regensburg began to flourish. 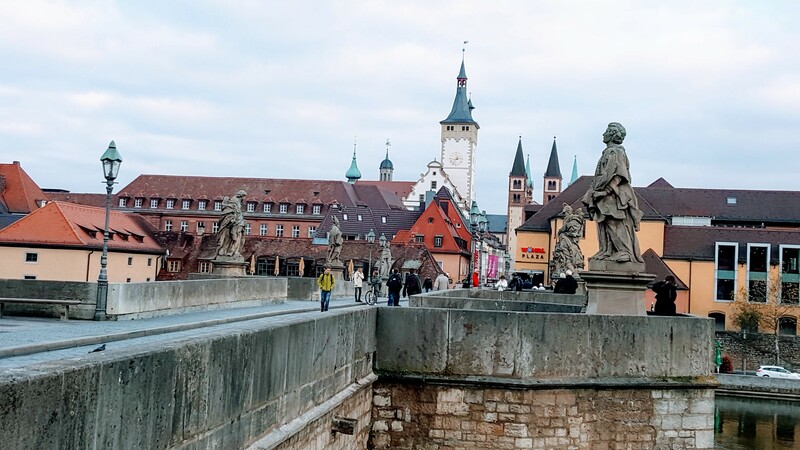 The bridge connects the trade from northern Europe to Venice, and because of this Regensburg became the cultural center for southern Germany noted for its gold works and fabric. Today, the Stone Bridge still stands with some restorations which will be completed soon. 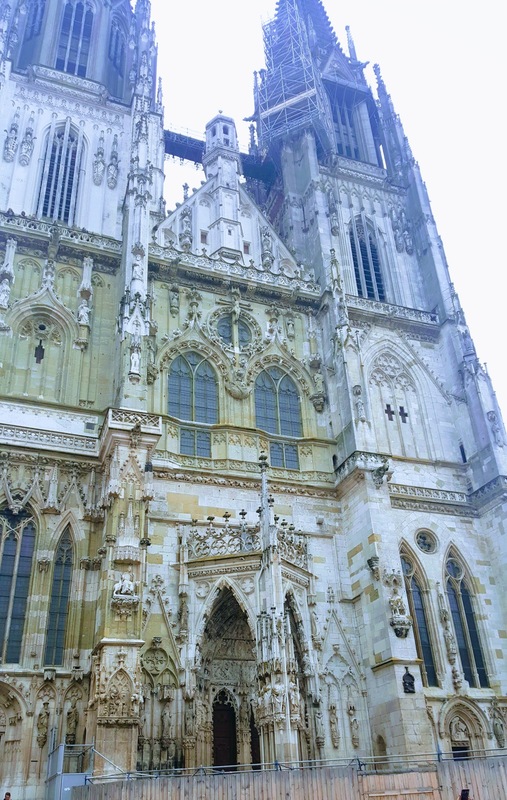 Regensburg is the best preserved medieval city in Germany. Its Old Town Center was listed by UNESCO as World Heritage Site. 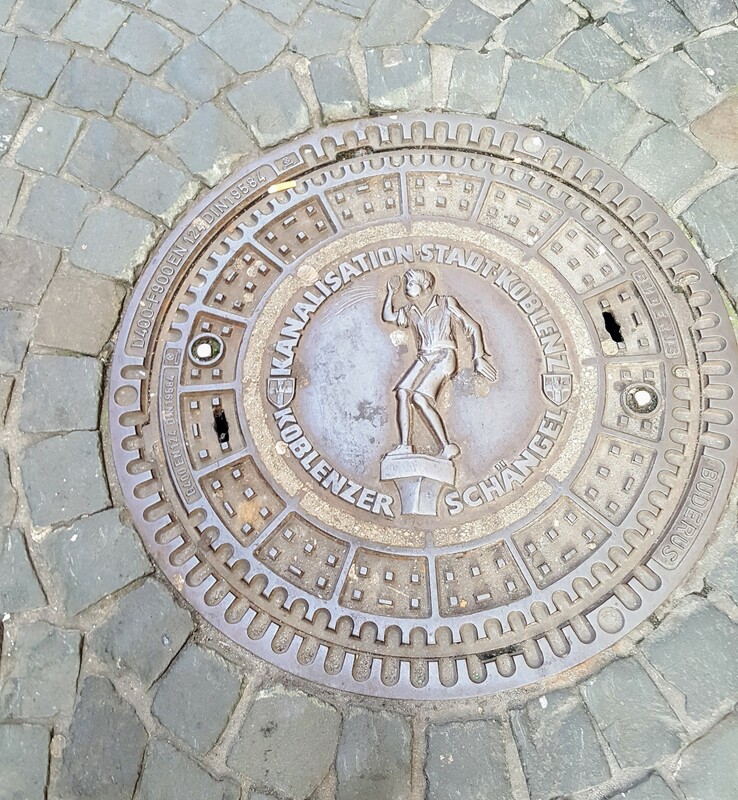 With its oldest pedestrian street, built by Romans, in Germany, it is easy to get around. Here are some of the views of this Old Town which is still active and viable. 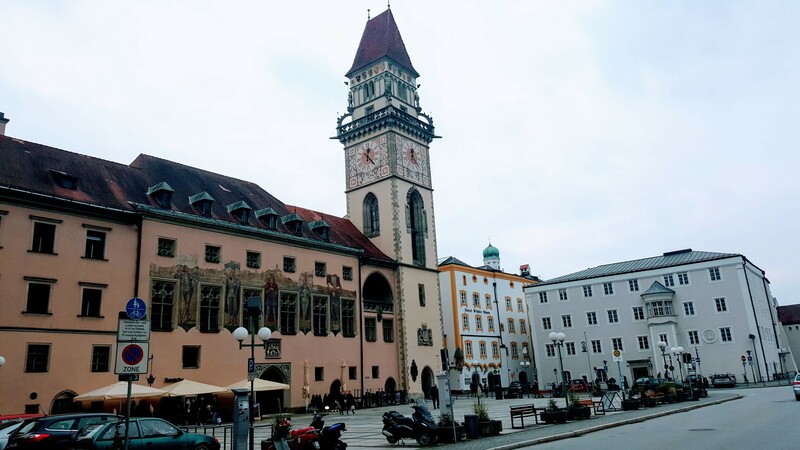 The Town Hall Square consists of the Old Town Tower of the 13th century and the baroque style Old Town Hall and the Gothic Imperial Chambers building where the Perpetual Imperial Assembly met from 1663 to 1806. This is where the expressions “to put something on the long bench” (to postpone something) and “to sit at the green table” (to take important decisions) come from. 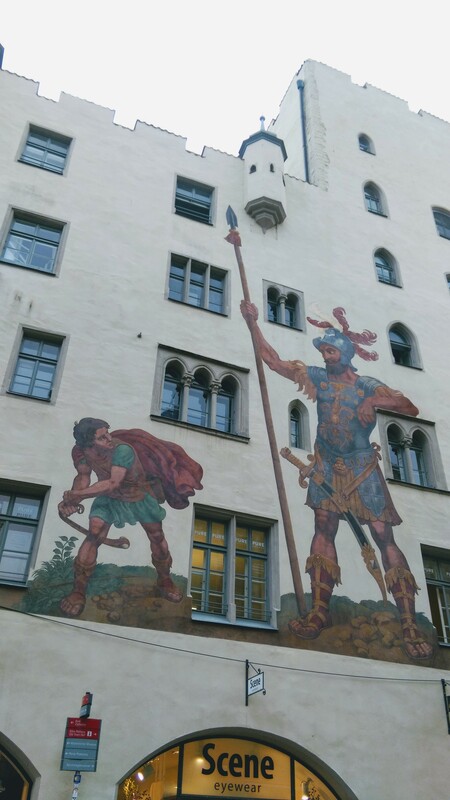 Goliathhaus Regensburg (‘Goliath House’ ) built around 1260 and the painting of David’s fight with Goliath was done around 1573 is both listed by UNESCO as one of the landmarks of the World Heritage City of Regensburg. 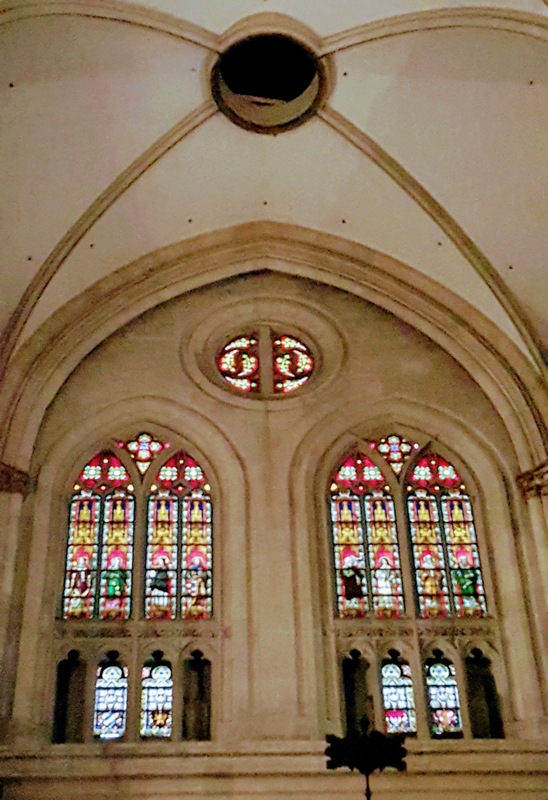 The valuable stain glass windows of the Regensburg Cathedral installed between 1220-1230 and 1320-1370. 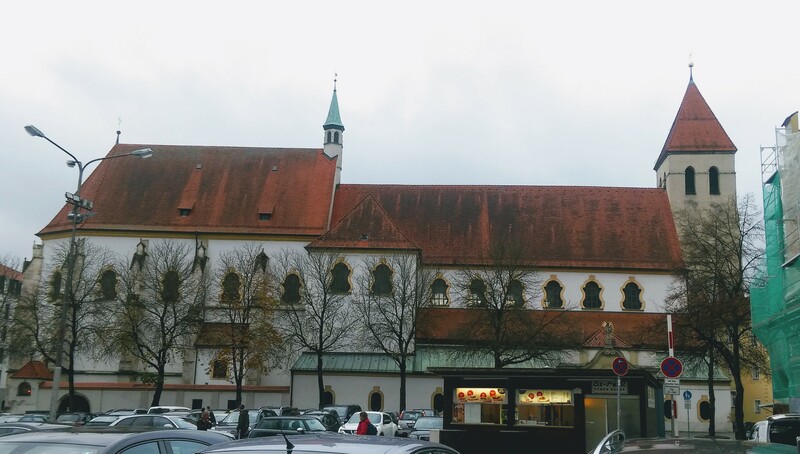 St. Emmeram Church was originally a Benedictine monastery in 739. It had a collection of books and manuscripts and in the 11th century serves as a library. Now the collection along with the treasures of the Abbey had been removed to Munich. Interior of St. Emmeram’s Abbey. 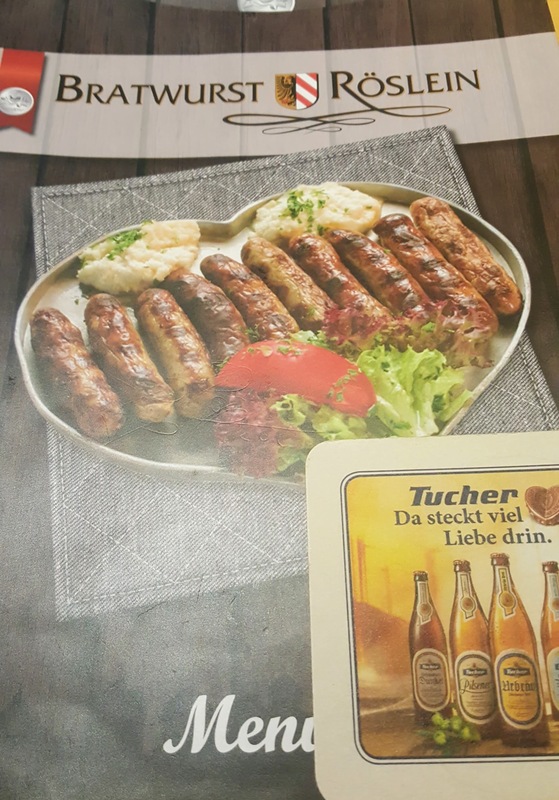 Last but not the least is the wonderful sausages from the restaurant specialized in different sausages. 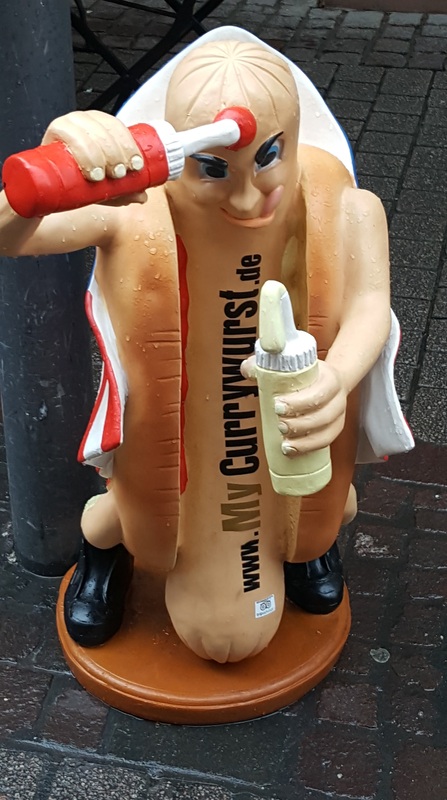 It sells approximately 6,000 sausages daily. Inside the restaurant only seats 35 people, but outside there are tables that can seat even more. One would not want to pass this up. Get a hotdog type sausage bun and eat it on the go is worth it too. 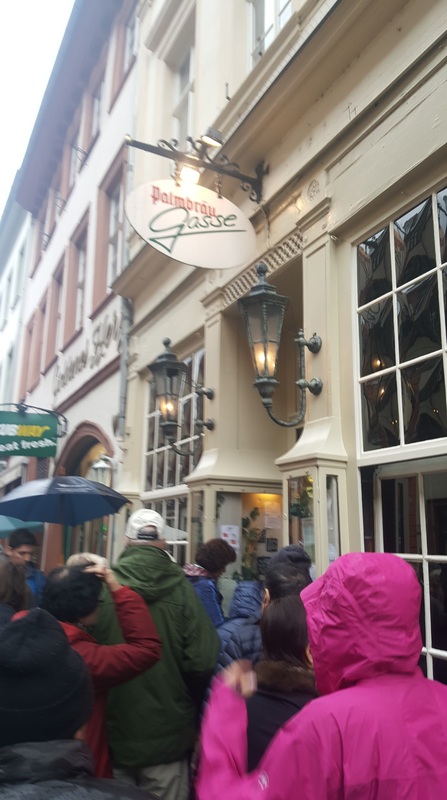 The Historic Sausage Kitchen of Regensburg, the oldest continuous open public restaurant in the world. The original building is the office of the construction workers for the Old Stone Bridge. 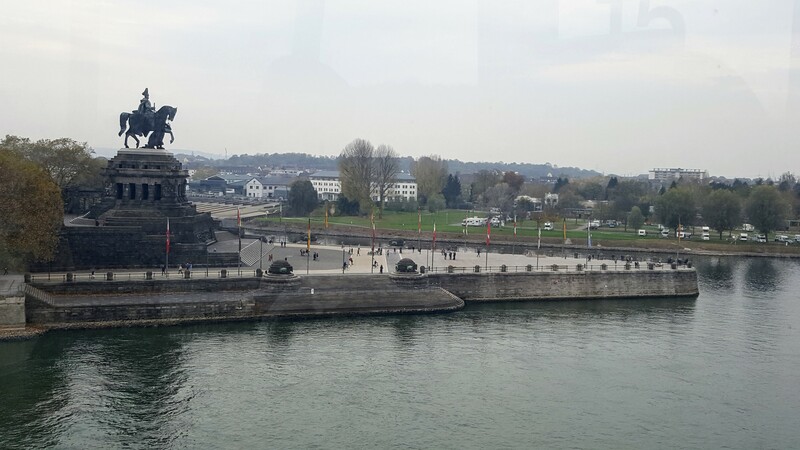 When the bridge was finished it turned into a restaurant frequented by dockers, sailors, and cathedral workers. 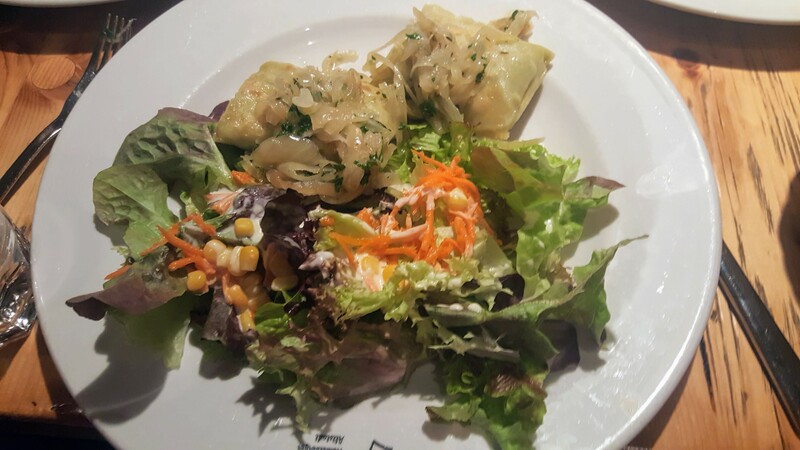 It became a grill sausage restaurant when the family took over in 1806.